Join my tribe of smart, conscientious parents-to-be! 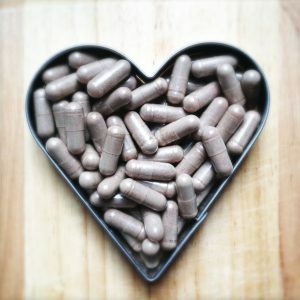 Should you encapsulate your placenta? An increasing number of women, mainly in Canada and the USA, are planning to eat their placenta after their baby is born. Services are popping up everywhere offering placenta preparations of many sorts, including encapsulation. As an enthusiastic and gullible young practitioner, I was told that using human placenta this way was “traditional” in Chinese Medicine. Human placenta is even included in our Materia Medica as a medicinal. More recently there has been discussion among my colleagues, who work mainly in fertility and pregnancy, about placenta encapsulation. The scholars of Chinese classical texts have scoured the classics for references to placenta consumption or recipes for herbal formulas that use placenta for postpartum care. They came up empty handed. So I am still trying to distill my position on placenta encapsulation. It seems in some cases to be very beneficial. And I have heard of others where it was not helpful and perhaps harmful. As an herbalist, this makes sense to me, there is no one herb that will benefit everyone. It needs to match the person’s condition. In the meantime, I want to add my voice to the rising crowd, working to dispel some myths that are being told about placenta consumption and TCM. Consuming placenta as routine postpartum care was not common practice in Traditional Chinese Medicine. Placenta is considered a very strong medicinal, used for the very weak and emaciated. It is not true that placenta remedies are an important part of birthing history. There is some reference to it being used for insufficient lactation, but only after other formulas had not worked and not the woman’s own placenta, and never as a single herb, always in a formula. It seems that history has been re-written a bit on this point. The “TCM Method” of placenta preparation is not a Traditional Chinese recipe. It is a recipe from a well-respected midwife and acupuncturist in California named Raven Lang who presented it at a midwifery conference in 1984. It is not a traditional recipe, but a recipe based on TCM principles as a remedy for common postpartum conditions. As a practitioner, I have a great deal of confidence in TCM herbal medicine because it has stood the test of time and proved to be effective. I cannot confidently say the same for this recipe. So, should you encapsulate your placenta? I am not opposed to the practice of placenta encapsulation or placentophagy. In fact, when our babies were born, we consumed their placenta. However, as a practitioner interested in helping people make clear headed decisions about their health, I want to make it clear that this is a practice that is not “traditional” to Chinese medicine, so there is no assumption of safety and effectiveness. Maybe you should eat it. Or maybe bury it and plant a tree. Or just let the hospital take care of it. The choice is up to you! more about my services and how we can work together!